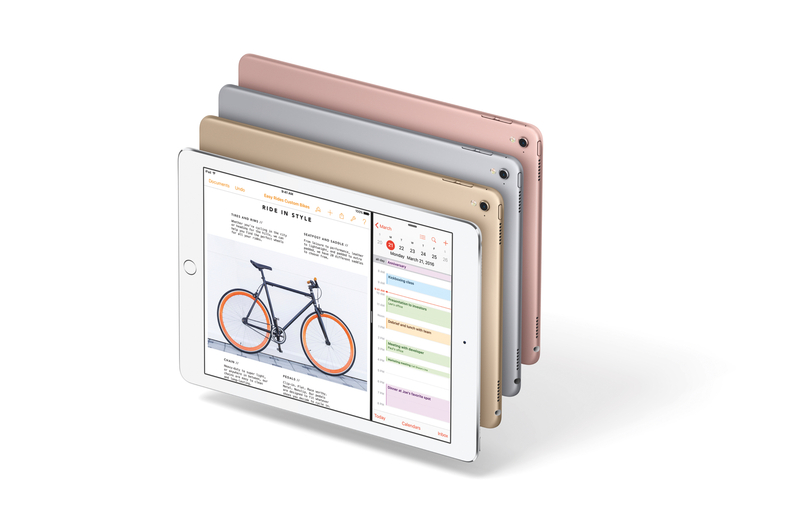 The new model has a 9.7-inch screen, just like the iPad Air. As rumored, Apple has been working on a smaller version of last year's iPad Pro. Today, at its "Loop you in" event, the company revealed the new 9.7-inch tablet. Similar to the 12.9-inch model, this iPad Pro comes with a Retina screen and, of course, is compatible with the Apple Pencil. The display has a resolution of 2,048 x 1,536 and features TrueTone technology, which adjusts the brightness depending on the color temperature of the light around you. Phil Schiller, senior vice president of worldwide marketing at Apple, claimed on stage today that it has the lowest reflectivity of any tablet. 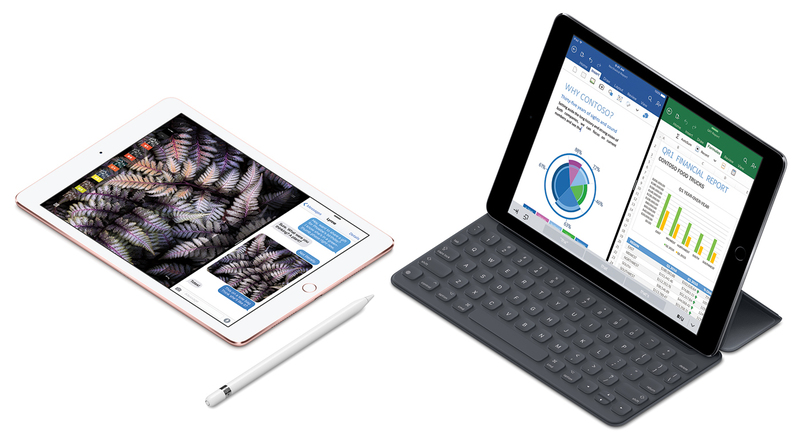 Aside from weighing less than a pound, Apple's 9.7 iPad Pro is also packing a 12.1-megapixel camera with a TrueTone Flash and 4K video-recording capabilities, quite an improvement compared to the 12.9-inch Pro. The smaller iPad Pro, which packs the same A9X chip as its big brother, will start at $599 (£499) with 32GB of storage, and $749 (£619) for 128GB. And, for the first time ever, Apple's going to offer a 256GB mobile device, though you'll have to shell out a hefty $899 (£739) for that model if you're interested -- and keep in mind these prices are for the WiFi-only tablets. You'll now also have a Rose Gold option, much like the iPhone 6s and 6s Plus. There's a keyboard case for the Pro 9.7 too, and that's going to cost you an extra $149 (£129). Apple's opening up pre-orders on Thursday, March 24th, so you still have a few days to think about whether a 9.7-inch iPad Pro is right for you.